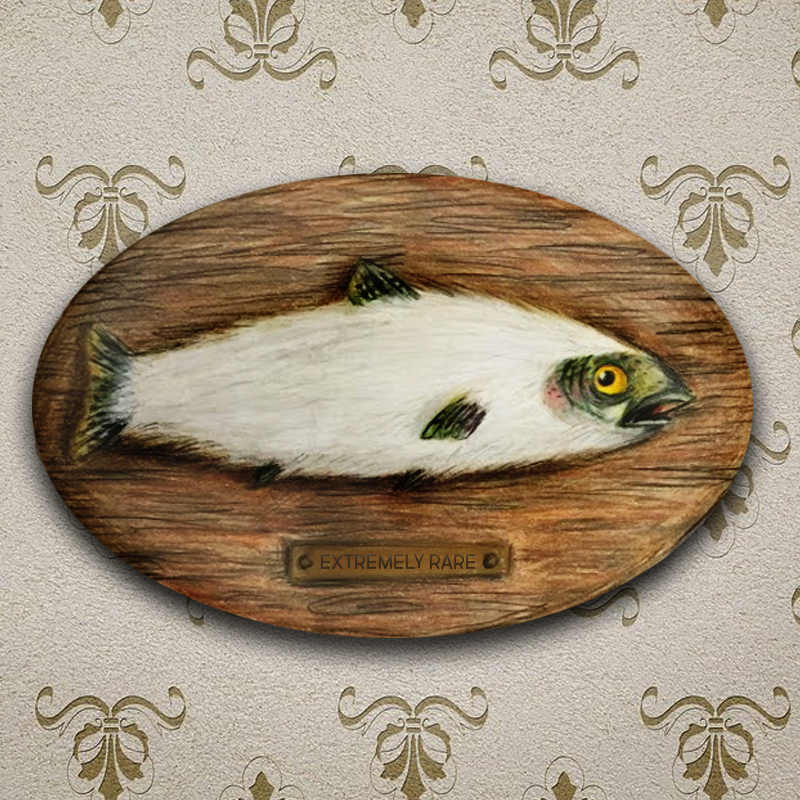 In folklore, the Fur-bearing Trout is a furry fish with long, luxuriant white hair sprouting from its scales. The hirsute trout are said to swim in the waters of North America; primarily in Canada, Colorado, Wyoming, and Montana--growing their thick fur to insulate themselves against these regions' frigid waters. One of the earliest references to this unusual animal is said to be a 17th-century Scottish immigrant's letter home, in which he mentioned plentiful amounts of "furried animals and fish" existing in the New World; much later, the first known purely American reference appeared in a 1929 Montana Wildlife magazine article by J.H. Hicken. Hicken claimed to have discovered the Fur-bearing Trout while traveling through Glacier National Park. He stopped to fish at Iceburg Lake, near Whitefish, Montana, and managed to land himself one of the fur-covered fish. "The water in this lake is so cold that nature has taken care of her own by providing the fish with a thick coat of fur," wrote Hicken. The article also noted the unusual healing properties of this evolutionary wonder's fur, which conveniently comes off in "one perfect piece, making it available for tanning and commercial purposes." "If the fur is made into a neckpiece it has been found to be a cure for goiter and tonsillitis," Hicken said. "The fur stimulating circulation to such an extent that all impurities are removed." So if you ever happen to be fishing in frozen waters while suffering from the aforementioned ailments, make sure to keep your eyes peeled for the Fur-bearing Trout--you just might be able to treat yourself to an easy cure and a delicious meal at the same time.